Unexpected? 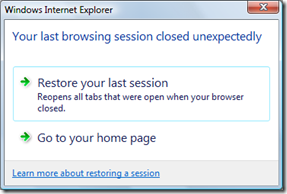 I closed it on purpose, thank you. 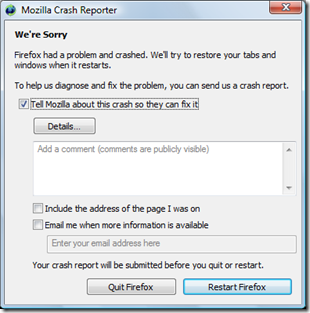 Not to be outdone, Firefox 3.0 loves showing me the ‘Mozilla Crash Reporter.’ Why isn’t it more stable than version 2.0? DreamSpark: Some Microsoft Software Free for Students!